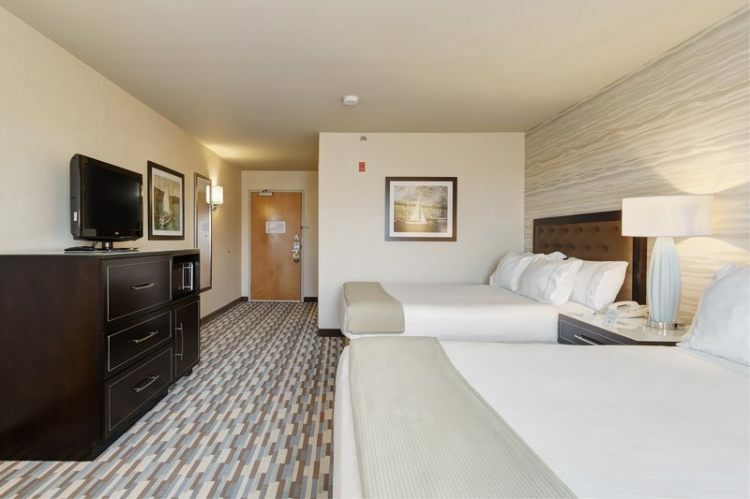 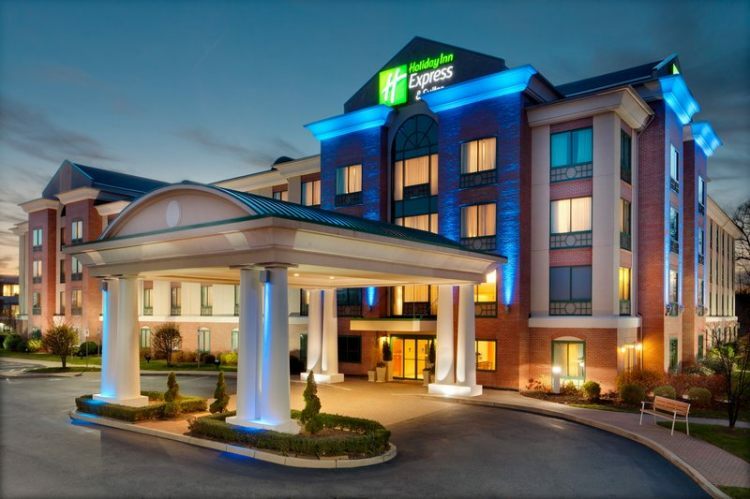 Freebies like shuttle service and breakfast are perks our guests enjoy at the Holiday Inn Express & Suites Warwick which is only five minutes from the airport. 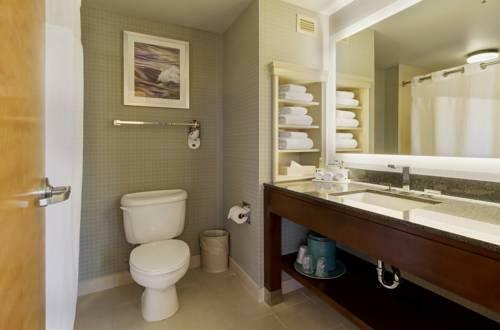 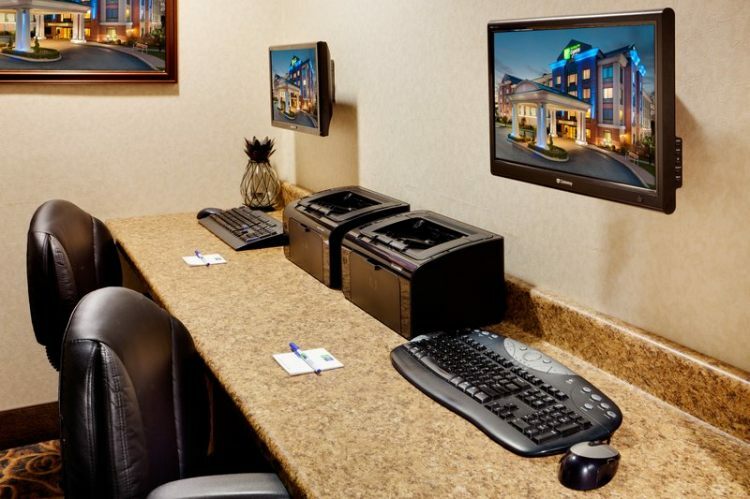 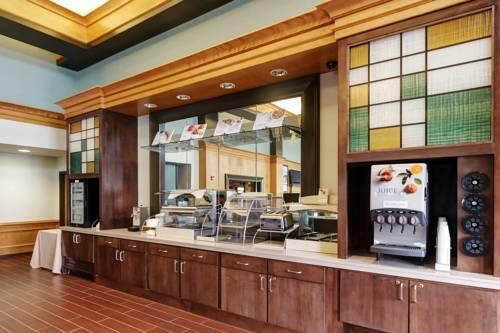 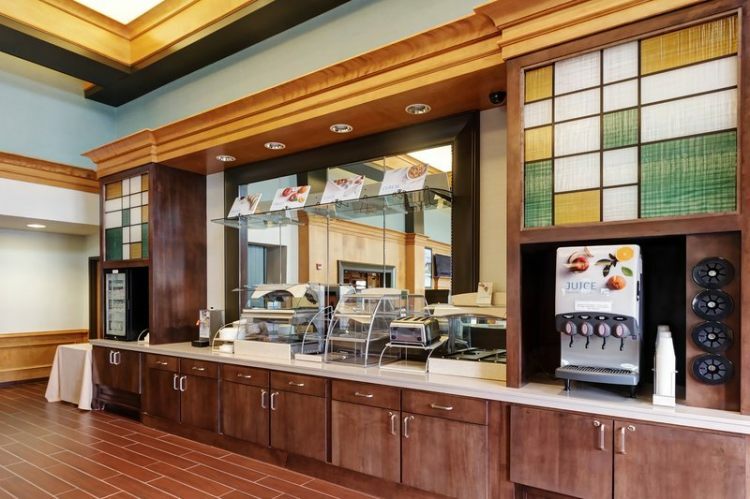 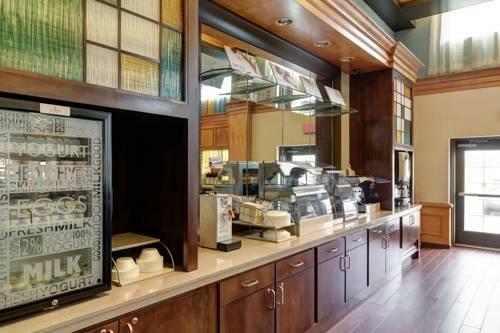 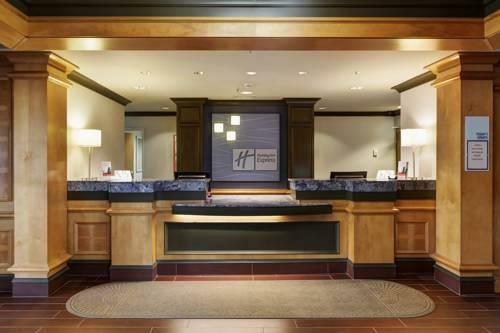 The four-story Holiday Inn Express houses 147 rooms with coffeemakers cable TV with premium channels and work desks. 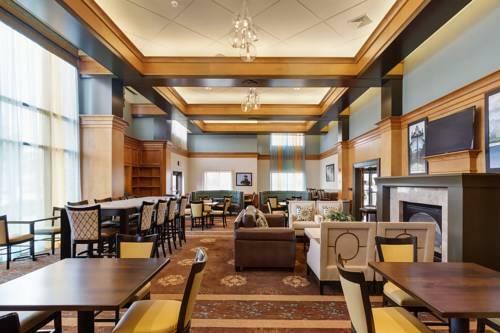 Start each morning with a complimentary fireside breakfast in the hotel's Great Room: the rotating menu includes signature cinnamon rolls plus a rotating menu of scrambled eggs bacon sausage biscuits and gravy pancakes fruit yogurt and more. 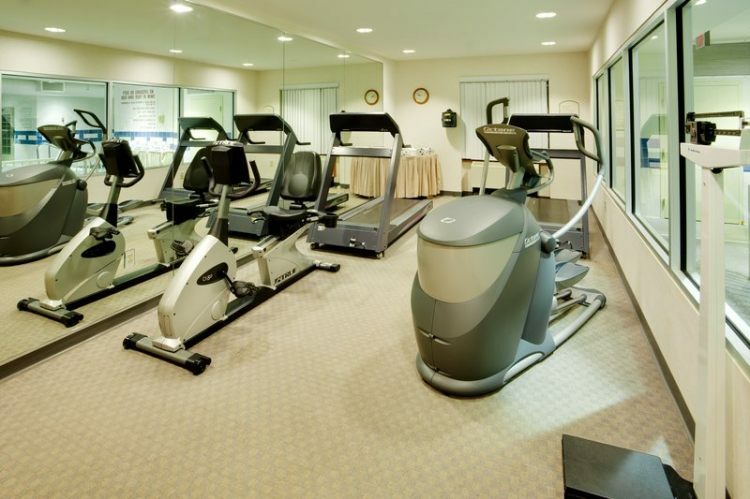 Stay in shape in the fitness room equipped with cardio equipment float in the indoor pool or catch up on work at the business center equipped with a public computer plus photocopy and printing capabilities. 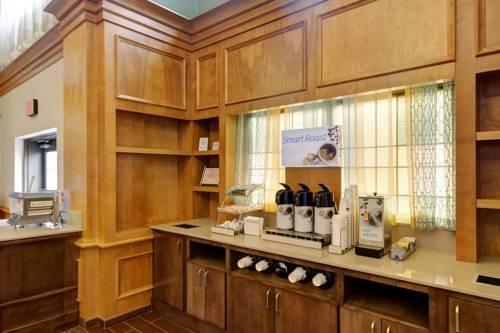 Pets are welcome for a fee. 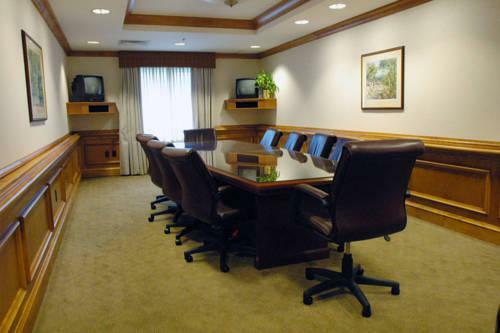 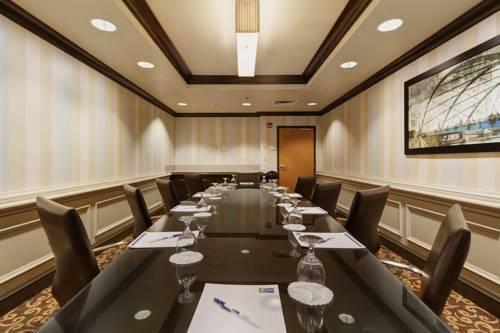 Event space is available for meetings and conferences and high-speed internet is available. 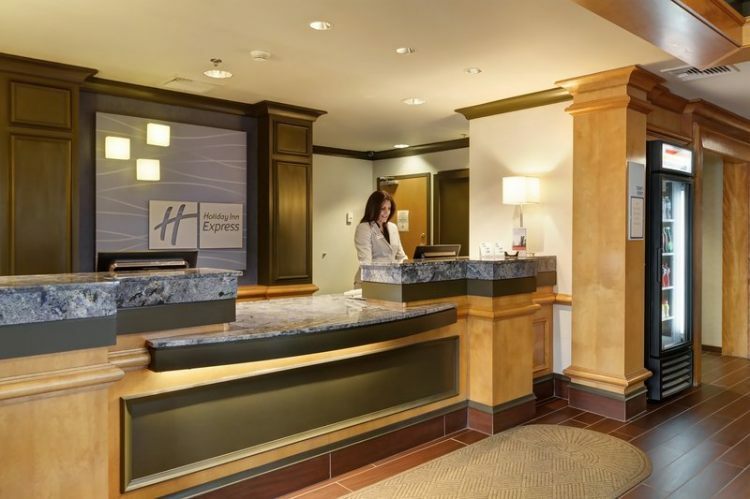 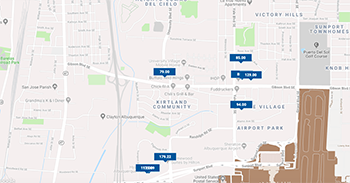 Take the hotel's free shuttle to the nearby airport. 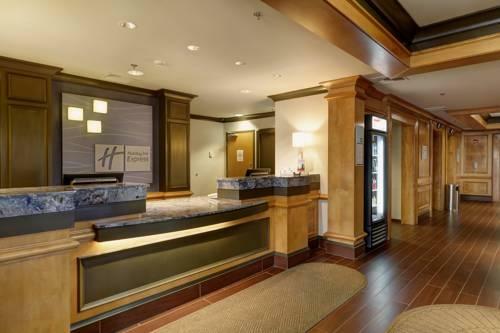 Valet parking is available for an added fee or you can self-park on-site for free. 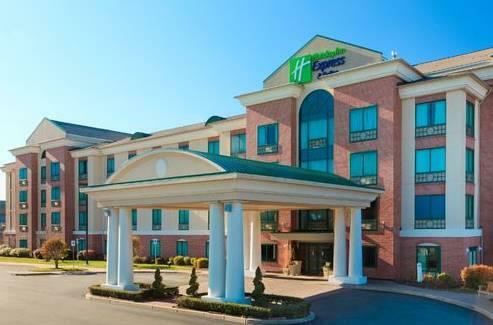 The Holiday Inn Express is one mile from T. F. Green Airport and one mile east of I-95. 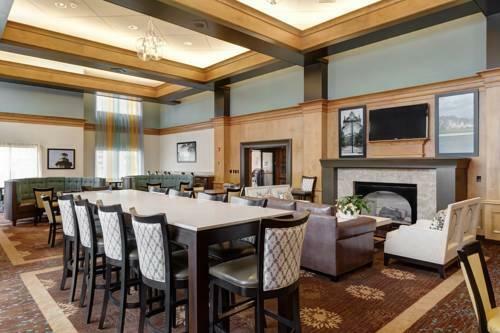 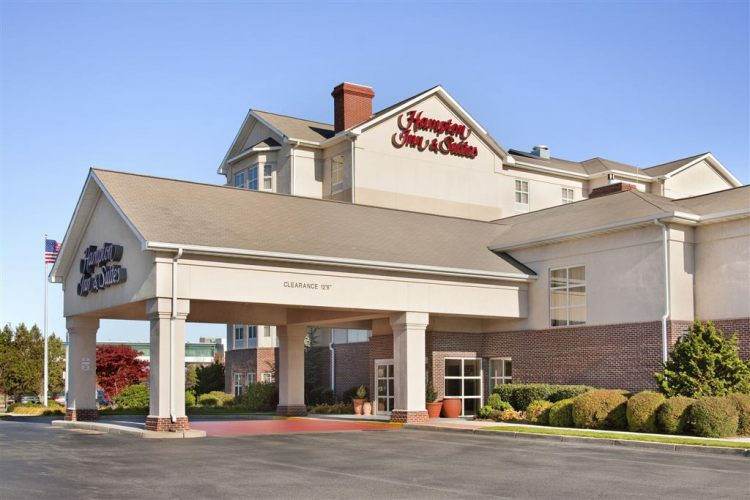 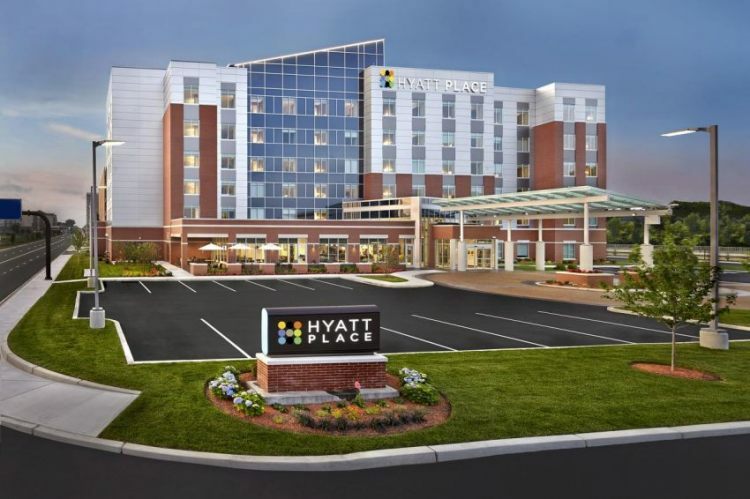 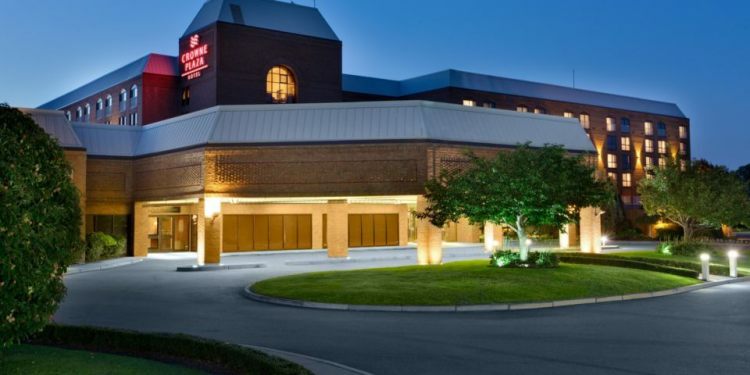 Guests are two-and-a-half miles from Warwick's city center and eight miles from historic downtown Providence. 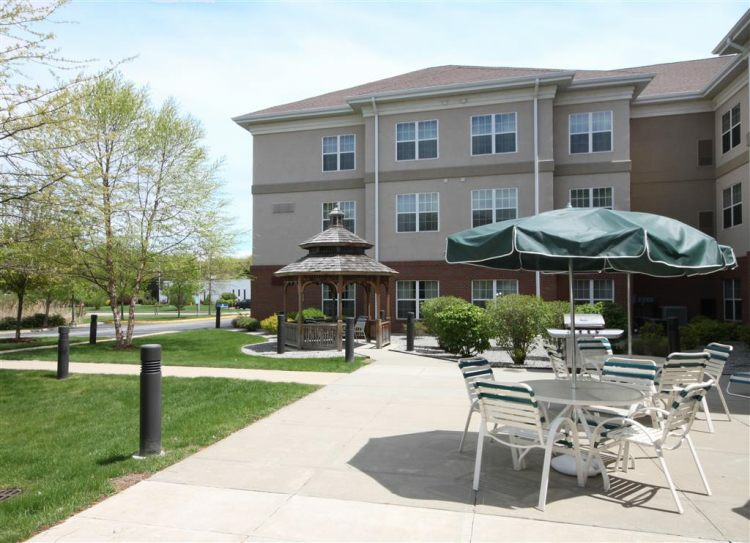 Oakland Beach is four miles away while Brown University and the Rhode Island School of Design are both 10 miles from the hotel. 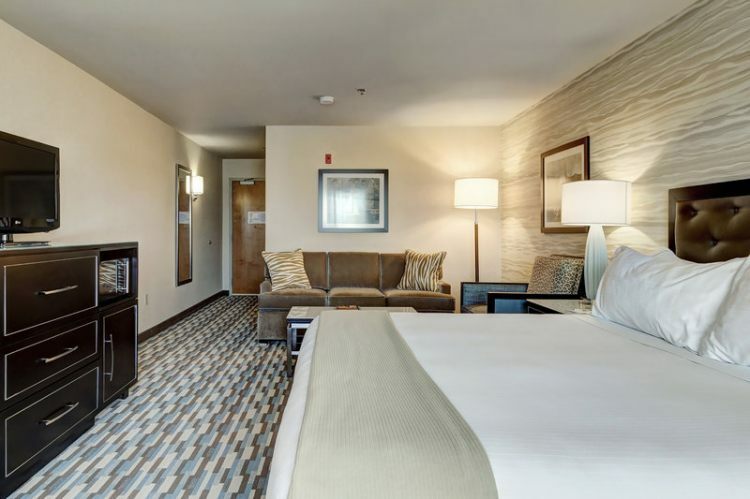 our guests say the Holiday Inn Express is "clean" and "quiet" and the hotel's staff is "extremely helpful and friendly."